Yeah, but: The GR abides. The Long Version: It’s been over a year since I reviewed any aspect of the Ricoh GR, so it seems like a good time to do a long-term report. But not much has changed from my experience in the first few months: it’s still my favourite camera, and now it's my hardest-used and most-travelled camera, too. The grip has smoothed down a bit, and if I only press on the right side of the shutter button occasionally it sticks in the half-down position. This happens more often when I’m just playing with the camera rather than when I’m actually taking photos, so it isn’t really much of an issue, and may be a result of the times I photographed Los Angeles’ “sunken city” with its abundance of incredibly fine silt-like dust. That’s probably also how I gained two little specks on the sensor that are only visible when I shoot at the smallest of apertures. Thousands of photos and thousands of miles have revealed no problematic idiosyncrasies, hidden flaws, or secret weaknesses. 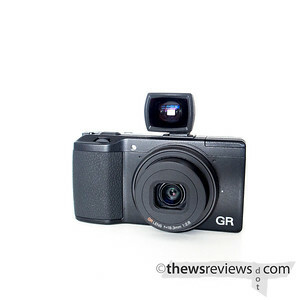 Ricoh may update the GR, but like the GRDIV it will remain a classic and endure far beyond what’s reasonable for a compact digital camera these days.